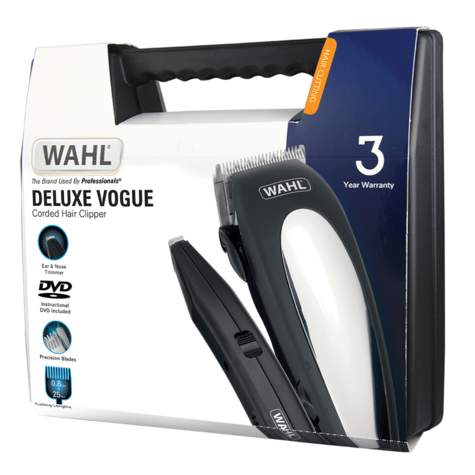 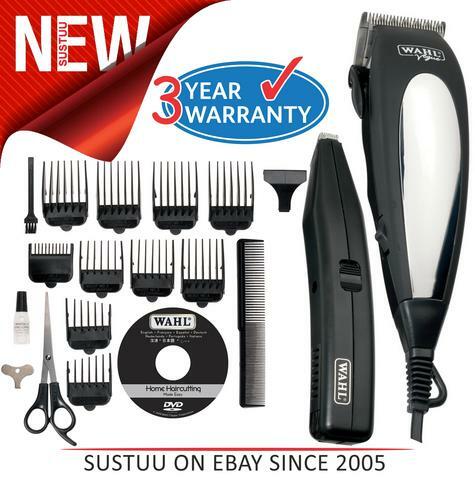 WAHL Deluxe Men’s Hair Clipper?Beard Trimmer?HairCutting Machine Kit?79305-013? 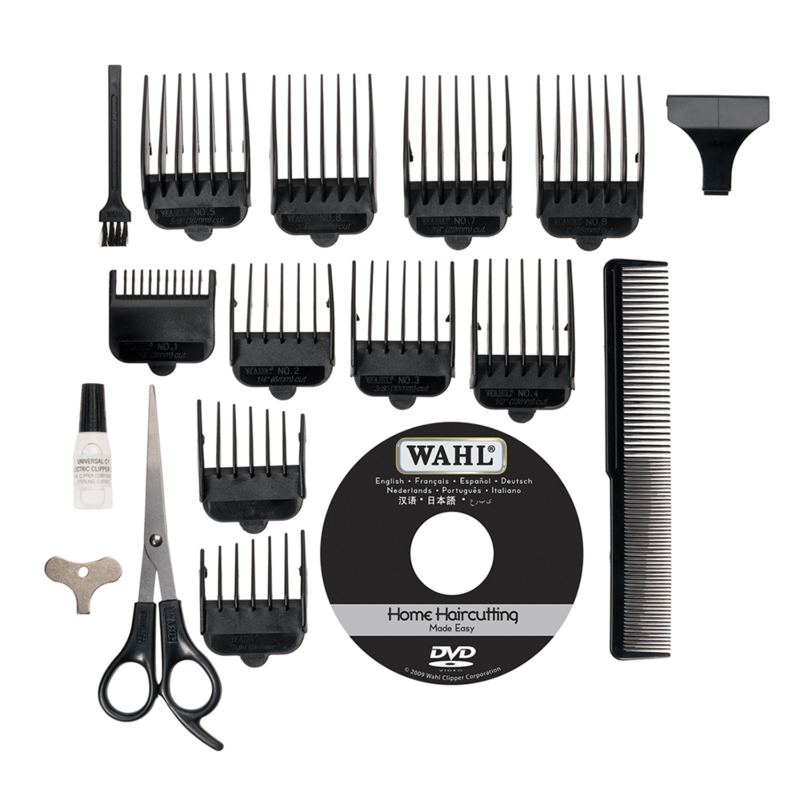 This comprehensive complete home hair cutting kit is ideal for keeping hair in trim. 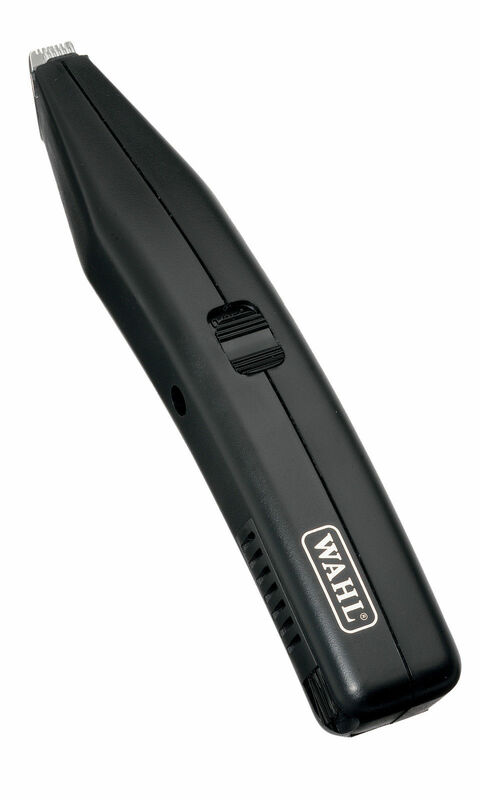 The detail trimmer is ideal for edging and detail work along the hairline. 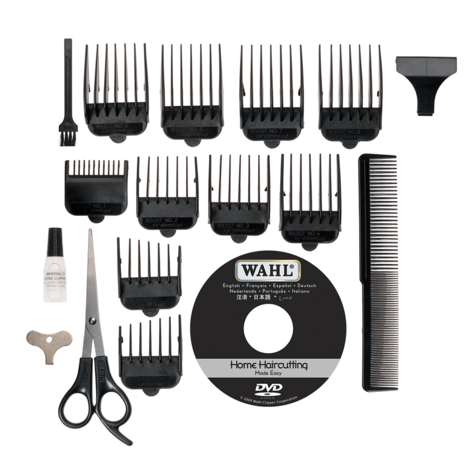 The instructional DVD gives easy to follow step by step instructions on how to cut the hair, making it simple for even a complete novice to create the desired look. 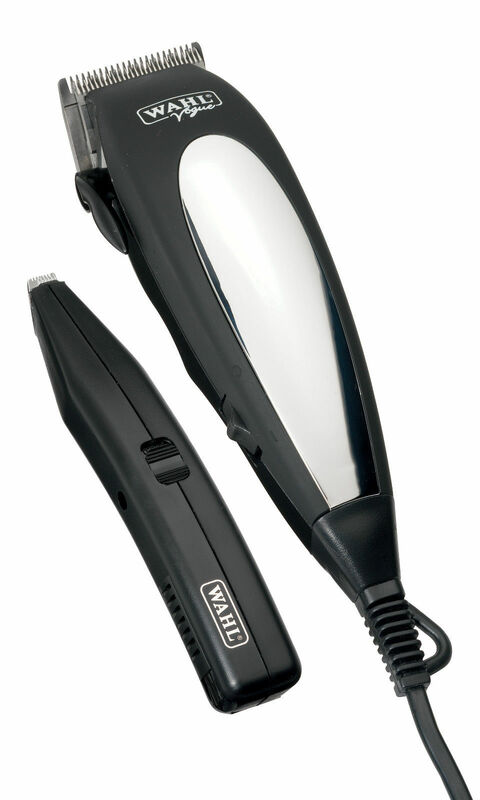 Mains operated adjustable 20 piece hair clipper kit with a satin black and chrome finish and an ergonomic soft-touch grip. 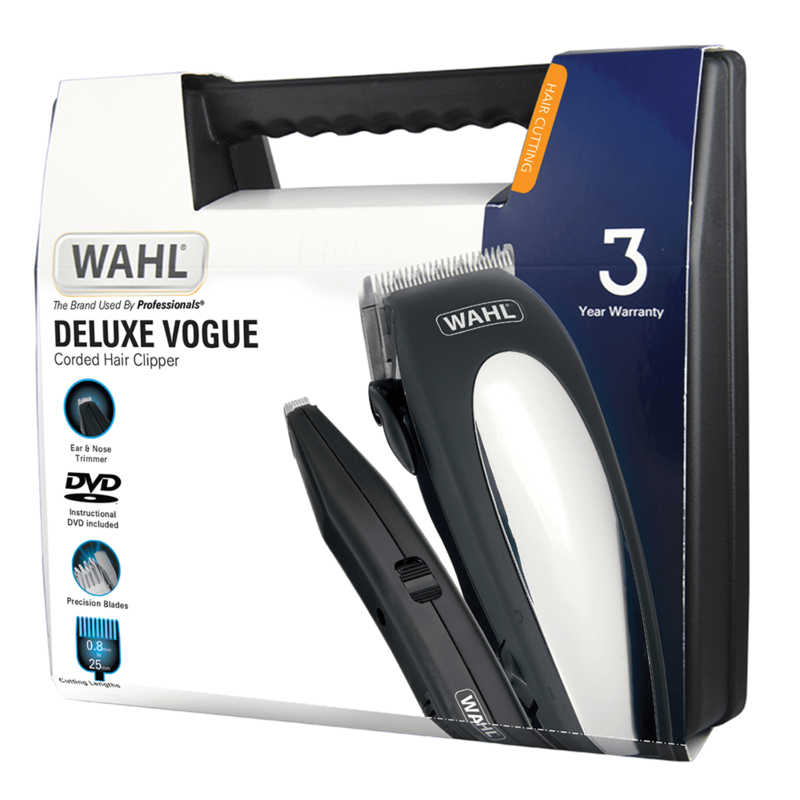 Also included is a fine blade detail trimmer, ideal for tramlines and all close outlining work - accessories include 10 attachment combs 1 to 8+ left and right ear, scissors, barber comb, clipper oil, cleaning brush, power adjusting key and instructional DVD - standard blade cutting length 0.8-2.5 mm. 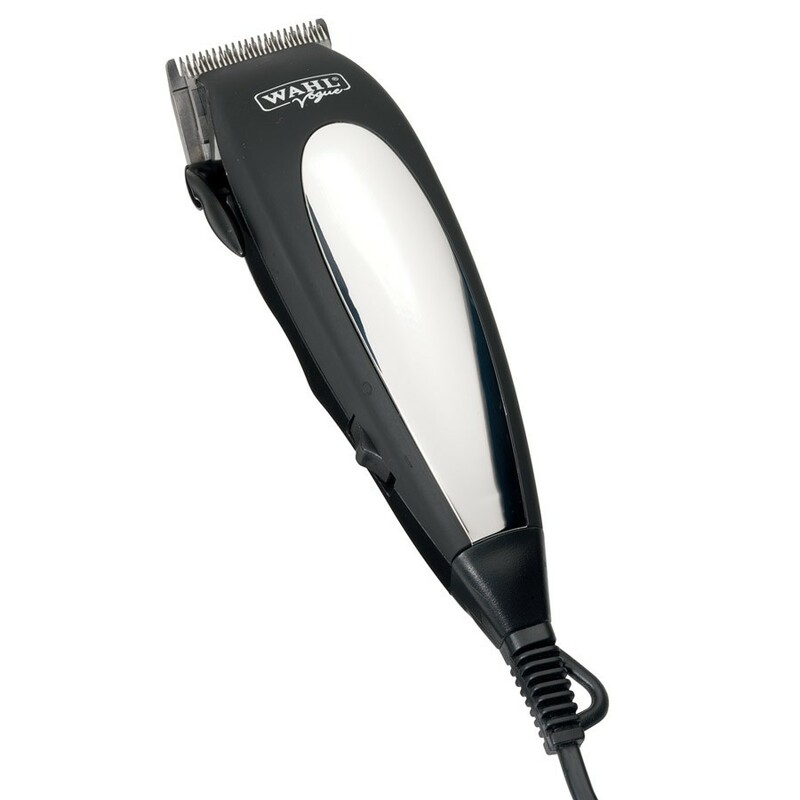 Important Notice: Thisitem may require an adaptor to fit the electricity supply socket incountries outside of the UK.